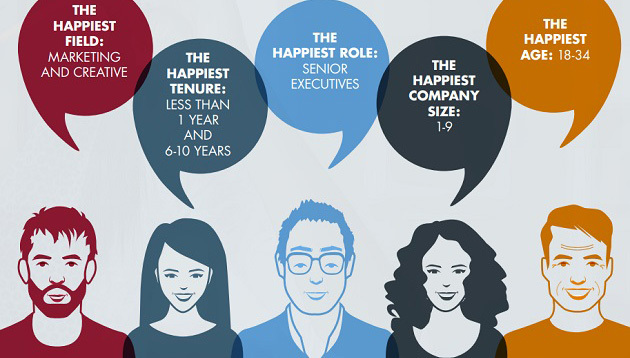 What are the happiest professions? A study by Robert Half evaluated the levels of happiness of 24,000 working professionals across eight countries who agreed to talk about their on-the-job satisfaction. 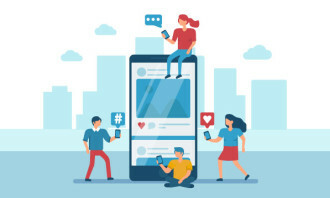 The results revealed that the field of marketing and creative dominated the top rank, for both level of happiness and level of interest in work. While the field of technology ranked number one in terms of lowest stress levels. The eight countries surveyed in the study include, Australia, Belgium, Canada, France, Germany, the Netherlands, United Kingdom and the United States. 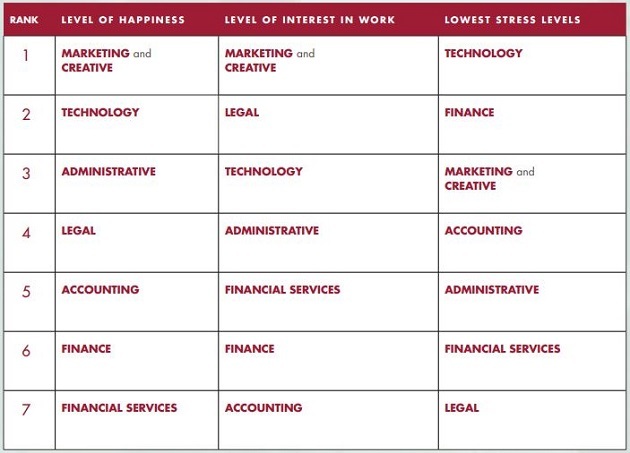 On the flipside, professions such as financial services, accounting, and legal did not fare so well, with them ranking the lowest in level of happiness, interest in work, and lowest stress levels respectively. 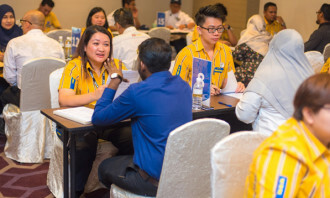 However, those in the legal profession express a high level of interest in work, ranking as number two, compensating for their high levels of stress. The study also showed the drivers of happiness in each profession. For those in marketing and creative, legal, and finance, the top driver was feeling appreciated for the work they do. For those in financial services and technology, it was having pride in their organisation. 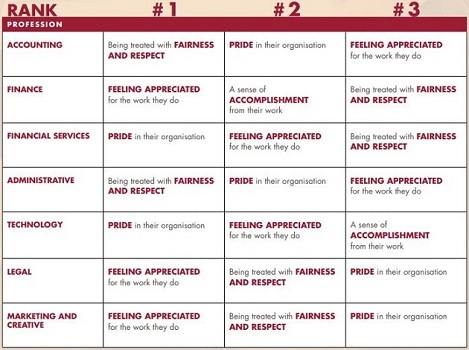 While the number one driver of happiness for the administrative and finance profession was being treated with fairness and feeling appreciated for the work they do, respectively. The Futurist: Could we combine total rewards and physical workplace strategies? After handing in their resignation, some workers believe they have nothing to do but wait for their last day in the office to come..
Should you ban smartphones in the office? A recent survey lists smartphones as a top productivity killer. But, will banning their use solve the problem? Jerene Ang explores..